Will ‘The More Carefully Selected One' Match Mourinho? Will ‘The More Carefully Selected One’ Match Mourinho? Remember this time last year when United were making lame comparisons between their Chosen One and The Special One? Of course, that initial and as it turned out, naive crowing only added to the hilarity as the season progressed – although theirs didn’t really, did it? Whilst Jose Mourinho walked us through the season, always with a focus on building for the future, for David Moyes, a future with Manchester United was harder to see with every passing game. So while Mourinho was able to finish the season having achieved his overall objective of a Champions League spot and some progression made in the development of his little horse into the thoroughbred he wants, the Chosen One had been withdrawn from the race (apparently lame) long before the finish line. Some might suggest SAF would have done better recommending the Rock of Gibraltar in the first place. Fast forward a year and Manchester United have Louis van Gaal in the saddle (yes that’s right, the club that told us we have no patience with managers) and ‘The More Carefully Selected One’ is making it clear from the off, he’s not just here for the ride, suggesting he plans to “make history” at the club. Of course, the other assertion he’s made is that he won’t get drawn into playing mind games with Mourinho, insisting “I play against Chelsea. And not against Jose Mourinho. My team and his team are playing against each other.” Strange then that he’d use a private joke between them to publicly big up his appointment, but then it’s no secret his ego is every bit as big as the job he’s just taken on. Whilst the focus seemed to be largely on what Mourinho would achieve and what Moyes definitely wouldn’t last season, Brendan Rodgers and his merry men kidded themselves they would be winning the title right until Manuel Pellegrini and Man City won it in what was a particularly understated fashion. This season promises to be a little bit more dynamic, at least from a management point of view if nothing else. Jose Mourinho thrives on challenge both on and off the pitch and not that we necessarily want or need a return to the press circus before each game but something resembling a bit of healthy rivalry wouldn’t go amiss either. Last season was decidedly bland from a managers debating point of view, with Pellegrini cold and aloof, Rodgers still a little too wet behind the ears for the full-on drama queen status, and Wenger tediously long in the tooth. 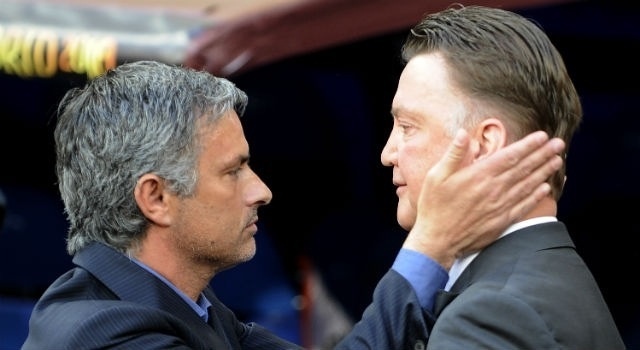 This coming season, will see football fuelled egos at both Chelsea and Manchester United again. Ok, so Luis van Gaal is no Alex Ferguson or Jose Mourinho when it comes to the British press but he’s no David Moyes either, so let’s not kid ourselves he’ll shy away from the fight, whatever he might suggest to the contrary. Oh and before anyone thinks I say this because I believe all our battles will be fought off the pitch, I think quite the reverse – I have a feeling our on-pitch battles are likely to create a little heat and rather than cooling things down like the other damp squibs, you just know Mourinho will feel compelled to add his own brand of fuel to the fire!